The financial accounting and reporting (FAR) test covers topics related to accounting transactions and generating financial statements. This test is all about the day-to-day work of accounting, and the amount of information you need to know can be overwhelming. Understanding some key formulas can help you answer a number of questions correctly. Use these formulas as you study for the FAR test. Only two things can happen to goods available for sale: You either sell the goods, or they stay on your shelf as inventory. If your cost of goods sold is $800,000, for example, you have ending inventory of ($1,500,000 – $800,000 = $700,000). I hope that bit of logic can help you understand this formula. If you can visualize products moving in and out of a retail shop, you’ll have an easier time with the inventory formula. If the number is positive, you have more assets than you need to pay your pensions. If, on the other hand, the number is negative, you have an underfunded liability. You can view pensions this way: A company that offers a pension is obligated to invest funds to make pension payments. The business contributes money into the pension bucket, and the dollars in the bucket earn a rate of return. The firm estimates that rate of return, which is why it’s called an expected rate. When a worker retires, the employee receives a pension, and the cost of that pension is based on the number of years the employee worked, and the ending salary amount. That service cost comes out of the bucket, along with interest payments that workers earn on the dollar amount in the bucket. 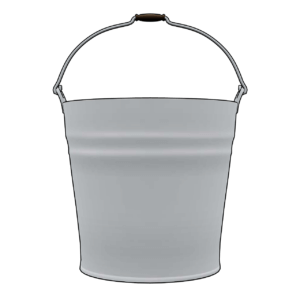 The pension questions can be more complicated than this basic formula, but the bucket analogy will get you on the right track. I want to make the distinction between basic EPS and diluted EPS, because both topics are on the FAR test. Basic EPS is (Earnings per common share) / (weighted average common stock shares outstanding). Weighted average is simply [(beginning balance) + (ending balance)] / 2. EPS tells you the dollar amount of earnings that a firm generates per common stock share. The diluted earnings concept assumes that any security that can be converted into additional shares of common stock is converted. Now, think about that for a minute: The dollar amount of earnings has not changed — only the number of common stock shares. Assume, for example, that a company’s EPS is ($1,000,000 / 200,000 shares), or $5 per share. If the number of common stock shares increases to 250,000, EPS declines to $4 per share. In other words, the additional shares have diluted EPS. Several types of securities can be converted into additional common stock shares, including stock options, rights, and warrants. Convertible securities, such as convertible bonds and convertible preferred stock, also dilute EPS. To understand dilution, remember putting chocolate powder into milk. The powder dilutes and spreads out into the milk — that visual tool might help you understand the concept. The FAR test requires the CPA candidate to digest a great deal of information. Use these formulas to answer more test questions correctly and pass the test.